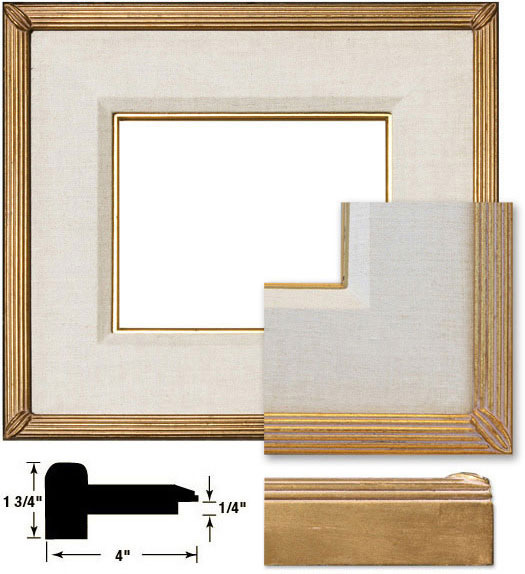 The Tuscany is a beautiful plein air frame with linen liner that measures 4" with a 3" wrap-around (off white) beveled linen liner and gold lip. Medium gold with a fluted design and delicate corner motif that complements the linen liner beautifully. Magnificent!